Launch Trampoline Park…fun for the whole family! We had such an awesome time at this Rhody Blogger event! 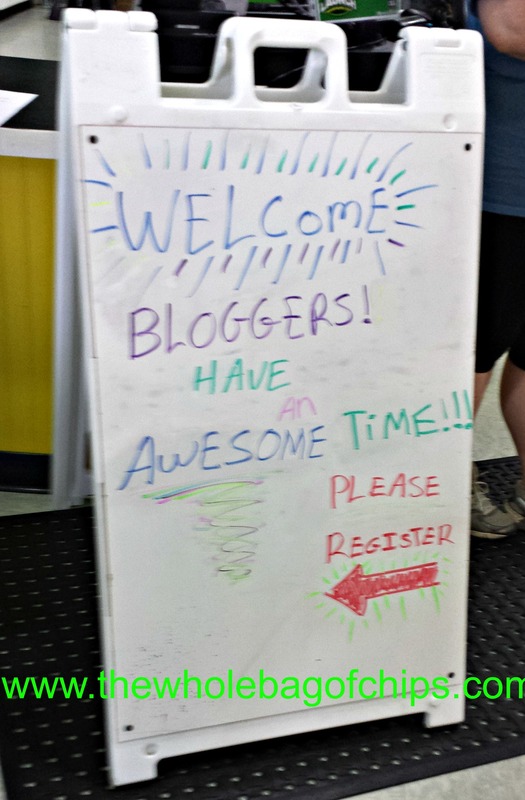 As an official “Rhody Blogger,” I recently had the opportunity to attend an exclusive blogger event at Launch Trampoline Park, a local indoor trampoline activity center that offers 18,000 square feet of indoor sports, fitness and entertainment for both adults and kids. All of us were invited along with our spouses and kids, and Launch provided snacks and drinks, games, and vendors offering mini makeovers in addition to unlimited jumping opportunities. 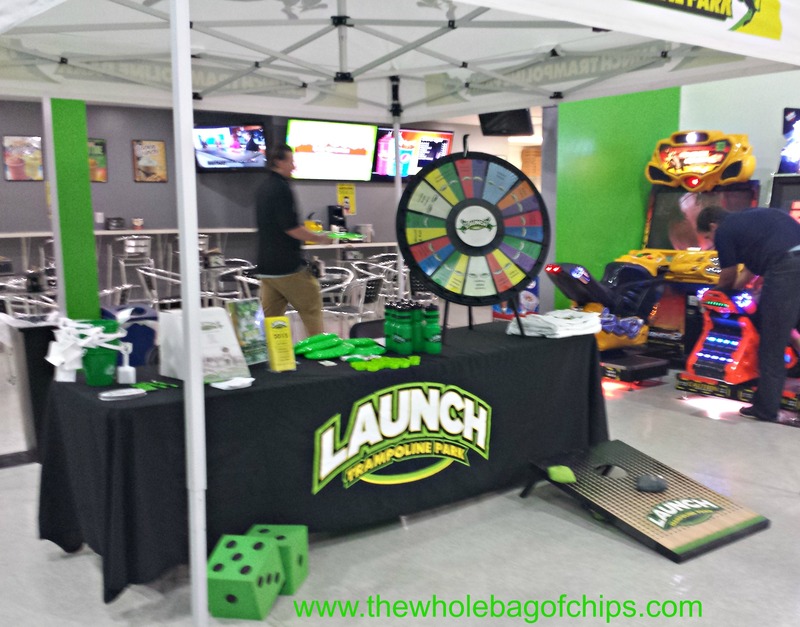 Additionally, bloggers received a great Launch drawstring backpack filled with coupons from local businesses such as Texas Roadhouse and the Corner Bakery. Food, fun, games, vendors and lots of jumping! Throughout the evening, my three double-digit daughters had the chance to jump on the 10,000 square feet of connected trampolines, to trampoline into a giant foam pit, to play basketball, and to play Dodgeball while on trampolines. They even had a games area set up with special prizes from Launch. Launch is a huge, wide-open facility with lots of space to move and a separate space for birthday parties, eating and waiting. There’s a separate locker room and restrooms available. I like that Launch is an activity that all three of my girls can do together. With an age-range that varies from elementary school through high school, it’s hard to find activities everyone can enjoy together. This was a great one. They loved jumping together and even video’d each other jumping in slow motion and stop motion videos, which was fun to look at later on. They even got a treat, because I jumped too, something I don’t normally do. I didn’t come prepared with socks, but I was able to purchase an inexpensive pair of official Launch socks for just a couple of dollars. I also like the supervision at Launch. There is an official Launch employee stationed at each and every trampoline activity space and they make sure that guests are jumping in their own spaces, and waiting their turns at the various activities. My oldest daughter had her mini makeover done by a representative from Retail Therapy Beauty Bar, which is located at 1276 Bald Hill Road, Warwick RI, and I loved the job she did on her. It was not too obvious and she’s done her makeup this way every day since. Any time is a good time to go to Launch: rainy days, birthdays, hot days, and more. 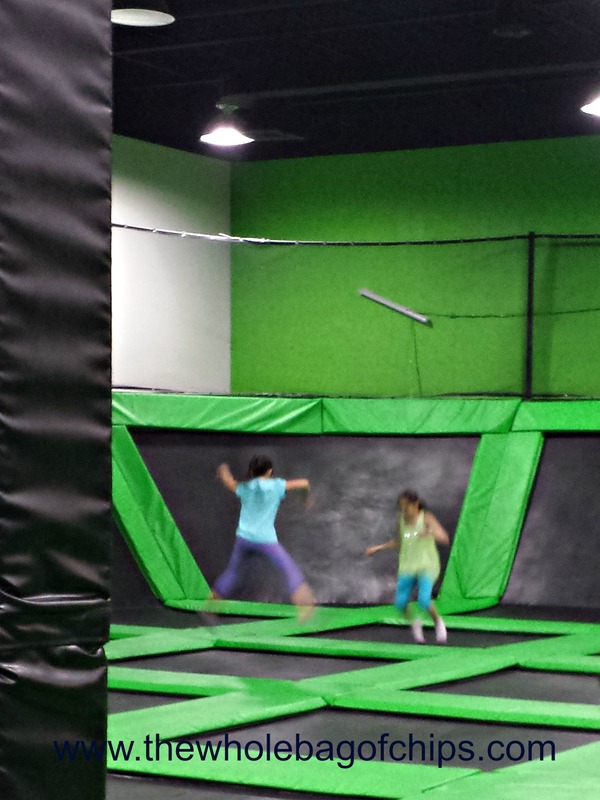 Our kids like to stay active and an hour of jump time at Launch is very affordable and gets the girls nice and tired. This summer, Launch is offering some exciting new summer programs. Each week, the park will be decorated in a new theme designed especially for kids. There will be dinner and movie nights offered on Wednesdays, Sundaes on Thursday nights, Revive the Roots (a non-profit organization) will be coming in to offer upcycling crafts for kids, there will be Dodgeball tournaments offered on 7/24 and 8/21, Teen Nights, and a Summer Concert Series featuring live local talent. Launch is located at 105 Pace Blvd., Wariwck RI 02886. For questions and additional information about Launch, it’s summer programs or regular offerings, contact them at 401-828.JUMP. We all jumped…and jumped…and jumped!